In retrospect, many social advances seem like no-brainers. Slavery? Yeah, that was wrong. Disenfranchisement of women? Yeah, wrong again. Letting little kids work in mines and mills? Yeah, let’s not do that. However, no matter how simple something seems in hindsight through the filter of our modern sensibility, there were always people or organizations that opposed the progress we were making as a culture. 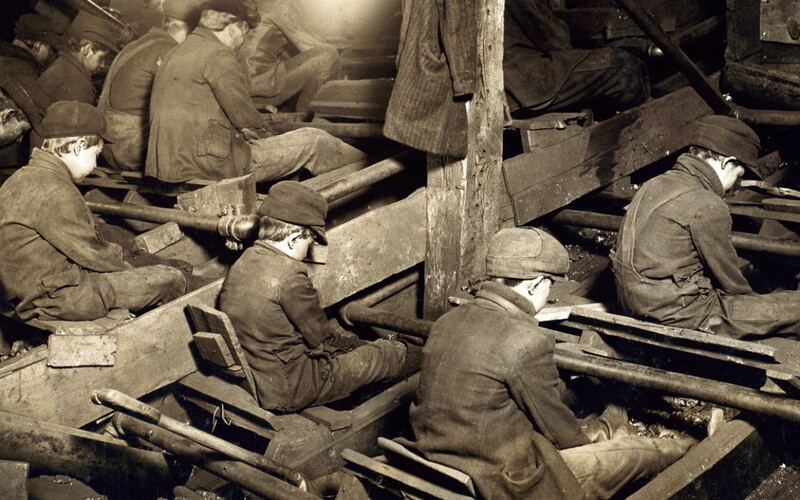 By the time the 1900 census was tabulated, approximately 2 million children were reported to be working in mills, mines, farms, factories, shops, and on the streets of American cities. The 1900 census report helped spark a national movement to end child labor in the United States. To help better illustrate the scale of the problem, the National Child Labor Committee hired the photographer Lewis Hine to criss-cross the country photographing and reporting on the use of child labor in many different industries. Initially, social reformers condemned child labor because of its detrimental long-term effects on the health and welfare of children. One of the most famous individuals helping to drive public opinion was already dead by the beginning of the 20th century. The writings of Charles Dickens [1812-187], who had performed factory work himself at age 12, were used to highlight the dangers — both physical and spiritual — of children working instead of attending school. One of the most effective attacks came from his novel Oliver Twist. 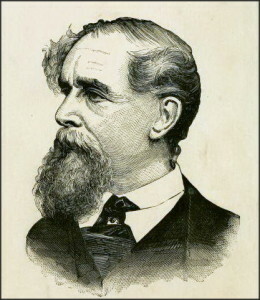 Widely read in both Britain and the United States, his masterwork portrayed an orphan boy raised in poorhouses and workhouses and by street criminals in industrialized London in the 1850s. The first successful passage of a child labor bill was the Keating-Owen bill of 1916. Based on Senator Albert J. Beveridge’s proposal from 1906, it employed the government’s ability to regulate interstate commerce as a tool to regulate child labor. Known popularly as the Keating Bill, the law banned the sale of products from any factory, shop, or cannery that employed children under the age of 14. It also outlawed the products of any mine that employed children under the age of 16, and from any facility that had children under the age of 16 work at night or for more than 8 hours during the day. While the Keating-Owen Bill was being debated in 1916, southern industrial groups like the Southern Textile Association led a public relations campaign in Washington and in Southern newspapers against the bill. 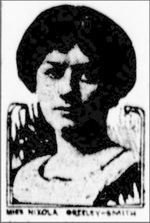 In The Evening World (New York City) on January 24, 1916, Nixola Greeley-Smith wrote an article highlighting the piecework labor, such as the assembly of artificial flowers or tatting lace or sewing buttons, done in New York tenements by very young children including a toddler. A score of Southern cotton manufacturers appeared to argue against the bill. As I believe that the best arguments for a social reform are generally supplied by its opponents (witness the enormous number of converts to Woman Suffrage made by the Antis) I am going to tell you about some of the objections to the Keating bill made by its enemies and let the public form its own opinion of them. It was stated by a doctor employed by a cotton mill corporation that a girl of twelve may be employed ELEVEN hours a day in a cotton mill without injury to her health. Don’t you think we can let that statement go without comment? To work eleven hours a day is excessive and exhausting even for an adult man. It is unnecessary to discuss the injury of such long hours to a girl approaching the critical period of adolescence. One of the arguments urged against the Keating bill was that the machines had been built especially for very small children and that if you put a grown man to work on those machines built for babies he would have to work In a crouching position. One manufacturer observed sagely at this hearing that you cannot fix an age limit for child labor any more than you can tell when a pig becomes a hog. It was also urged that the mill children are the only support of widowed mothers. It does not seem to have occurred to these gentlemen if the burden of the support of impoverished widow is to be placed anywhere, it should be on the broad shoulders of the community rather than on the bent backs of little children. The Child Labor Committee has been accused of a special animus toward the cotton manufacturers. This is far from being true. Conditions in New York and Newark, New Jersey are as bad as anywhere in the United States, although each forbids such child labor. The majority of child workers are employed in the South. Alabama has more than 150,000 child workers. Georgia has more than 160,000. Lewis Hine traveled America photographing and reporting on the use of child labor across different industries on behalf of the National Child Labor Committee.